It’s A Dog’s Life: Man's Furry Best Friend Now Lives It Up with Luxury! A Lavish Life For Man's Best Friend! Indulge your doggo by checking it into a dedicated dog-hotel, pet prêt, spa or fitness centre—here’s how you can spoil your furry friends! The phrase ‘it’s a dog’s life’ is fast becoming an oxymoron—because a dog’s life these days is nothing short of extravagant. Gone are the days of chewy stick or a biscuit to reward good behaviour. Today, your dear dog can enjoy a lifestyle that will probably give Kim Kardashian a run for her money. We tell you how to treat your pet like a celebrity. Exclusive hotels these days not only provide ultimate comfort for your pets but also raise the bar for comfort and creativity. The D Pet hotel in New York provides flat screen TVs, a boutique, designer dog beds, three private 6,000-square-feet parks, and chauffeur service for your pooch in a Ferrari, Bentley, or Rolls-Royce. You can also get your pet detoxifying thermal wraps with calming music, aromatherapy massages, and even a personal trainer. Your mutt will literally have to be dragged away howling and kicking from this swanky experience. This will cost you over $200 per day but your pets will definitely be grateful! If you are in Paris, check your dog in to Actuel Dogs lodge where the emphasis is on gourmet food and customised exercising activities that include jogging, hiking, and biking. Closer home, there’s Critterati, a five star luxury hotel in Gurgaon’s DLF phase IV. The six-floor, sprawling 12,000 sq ft property offers both standard and deluxe rooms with televisions in each room. You can also take the balcony suites to let your pawtner soak in the city view while you are away. The hotel also has a swimming pool, a salon, a spa, and a cafeteria that you can book for birthday parties. Some dog grooming parlours around the world are so popular that their waitlist runs over six months. New Zealand’s The Dog Spa grooms more than 20 dogs a day. Starting at just $70, you can book a nice warm bath with a natural shampoo, brushed, blow dried and their nails clipped, finished with a fresh doggy scent. 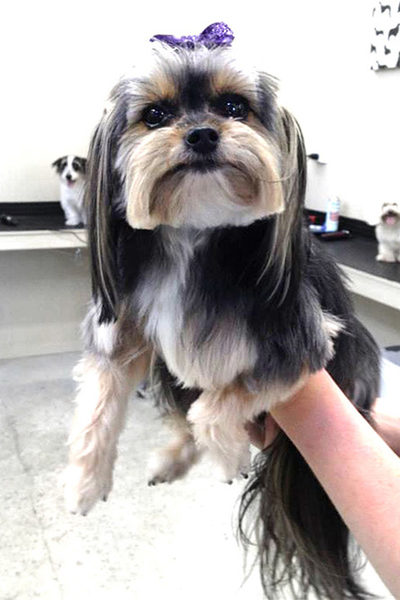 Posh Pets in Richmond, UK is a pet nirvana that offers ‘pawdicure’ and blow dry, pruning your four-legged friend to perfection. And while they wait to get picked up, they can enjoy the in-house play area with a tunnel or sleep-it-off in luxury beds. Fashion went to the dogs years ago and pet owners couldn’t be happier. 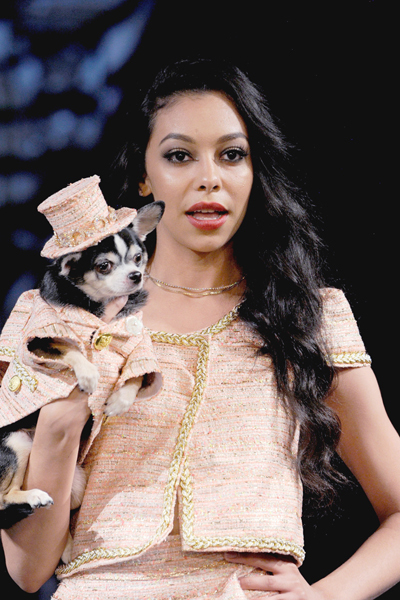 Canine fashion shows have been around for over a decade. Dog fashion’s leading designer—Anthony Rubio did a special show for the 2018 Chinese Year of the Dog recently. Doggy models sashayed the runway sporting ball gowns, bejewelled kimonos, capes, jackets, vests and dresses embellished with glass beads, crystals and sequins, and were accessorised with collars, hats, and bows. Another brand that’s bringing glamour and sparkle to doggie outfit is the New York label Gauntlett Cheng. Their lineup includes bodysuits, floral dresses, deep green bodysuits, and some signature styles depicting childlike characters in unconventional poses: sleeping, drinking wine, sitting on the floor—to reflect their 2018 theme—Happy and Healthy. Feeling guilty about leaving your pet home alone while you are at work? The Petzi treat cam will help you stay connected with them. This amazing device seamlessly connects to your home’s Wi-Fi network so you can see, hear and take pictures of your dog. Most importantly, it dispenses treats remotely so you can rest assured your pet is not hungry or bored. The FriendshipCollar brand recently launched pet collars teamed with a matching bracelet for owners to symbolise the love between the two. You can also order matching leashes and gold-plated charms to personalise your ensemble. This sauce for dogs is safe for human consumption too! It’s packed with essential nutrients and over 20 vitamins and minerals. 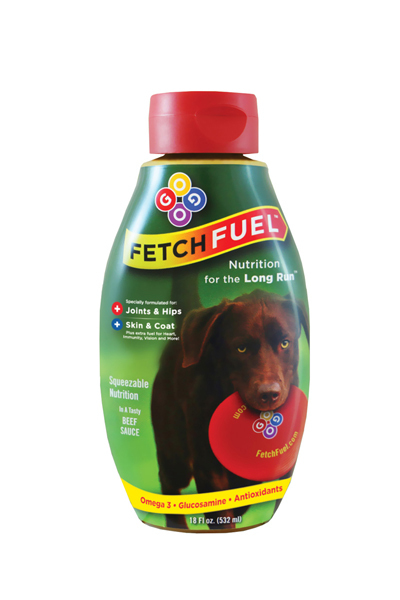 Add Fetch Fuel to their dry kibble daily and see them jump with joy at the sight of their meal. If you prefer to give your doggie fresh, homemade treats, then this fun baking equipment can whip them up in just minutes. 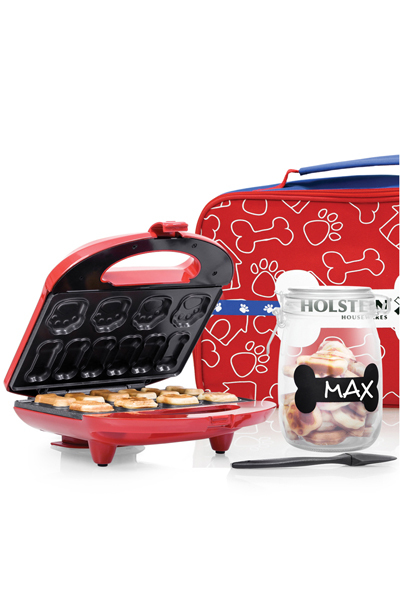 The Holstein pet treat maker comes with a glass canister to store treats, a silicone spatula and a full colour recipe booklet with over eight different recipe ideas.